There’s something about fifth wheels that is just plain cool. They look cool, they’re cool to tow, and they’re a large recreational vehicle… which is really cool. With fifth wheels, you’ll have plenty of space and you’ll be comfortable anywhere you go. With the Heartland Bighorn Fifth Wheel for sale, you’ll be MORE than comfortable–you’ll be cool and comfortable! The construction is no different in it’s capacity to awe you. It boasts laminated fiberglass sidewalls and double-welded aircraft quality aluminum superstructure cage construction. The welded aluminm frame and walkable roof decking are great additions to the overall durability and convenience of the fifth wheel. 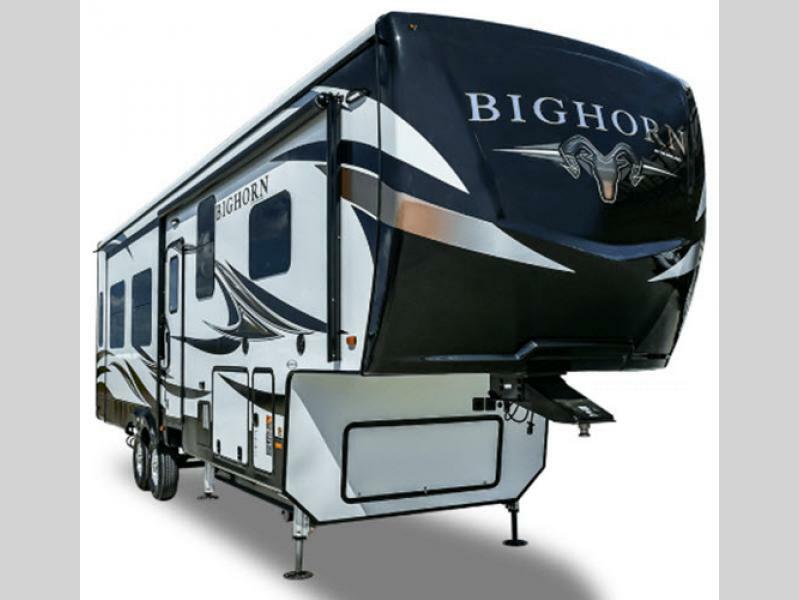 The Bighorn provides a drip rail with down spouts, a deluxe power awning, a radius metal roof cap, and a heated and enclosed underbelly. This keeps the fifth wheel tightly compact and ready to go for many, many road trips! The interior is no different when it comes to fantastic amenities! You’ll enjoy a built-In closet system featuring hanging clothes rods with recessed shelving, a king size bed to cuddle in at the end of the night (WITH an upgraded foam mattress), and a tall dresser with four large drawers. It looks like when it comes to the bedroom, you won’t have to worry about storage at all! 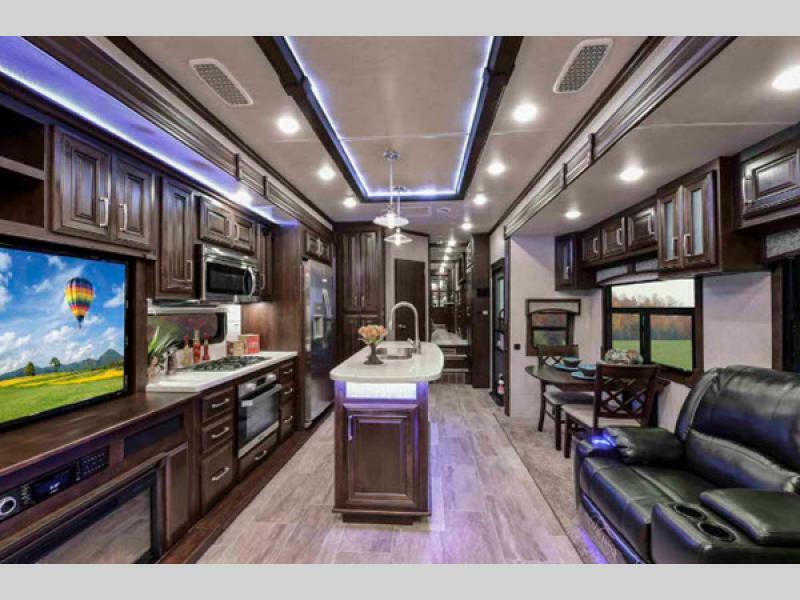 If you have any questions about this amazing Heartland Bighorn or you want to take a look at the features for yourself, please contact us today! We love helping you find the perfect fifth wheel, and we really think this might be the best one for YOU! Thank you for reading our Heartland Bighorn Fifth Wheel Review!